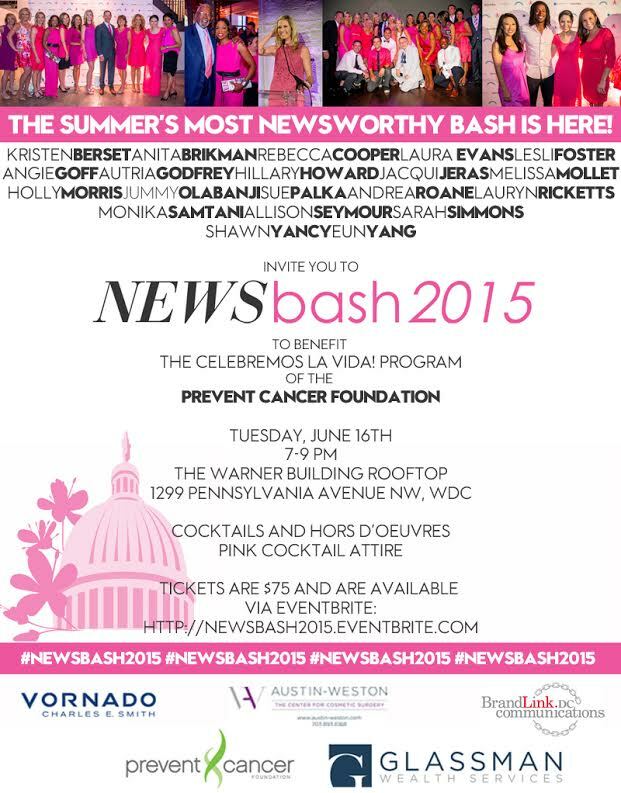 NewsBash 2015 Coming Tuesday June 16! 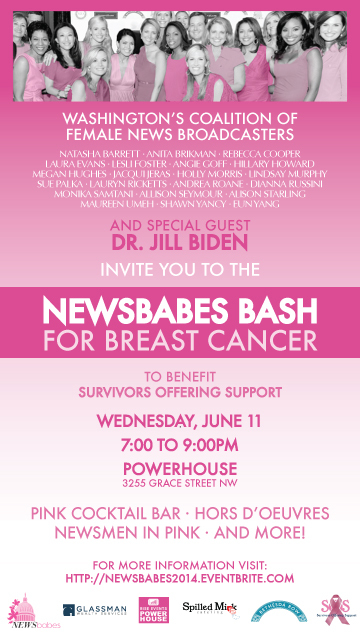 Newsbabe’s Bash Coming Wednesday June 11, 2014! 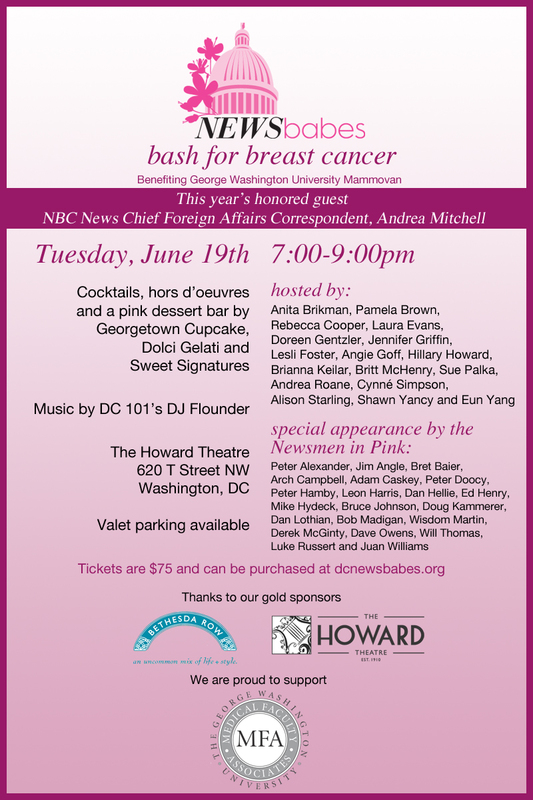 Announcing this year’s Newsmen in pink! We look forward to seeing everyone in less than a week at The Hamilton! Don’t forget to purchase tickets, they’re going FAST! Thanks for the love, Pamela’s Punch! Thanks to Pamela’s Punch for the feature on this year’s event! Click the images to read the full story. 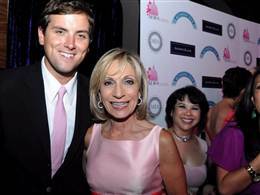 Washington’s Coalition of Female News Anchors including: Margaret Brennan, Anita Brikman, Rebecca Cooper, Laura Evans, Lesli Foster, Doreen Gentzler, Angie Goff, Jennifer Griffin, Hillary Howard, Megan Hughes, Brianna Keilar, Britt McHenry, Sue Palka, Wendy Rieger, Andrea Roane, Monika Samtani, Danella Sealock, Cynné Simpson, Alison Starling, Shawn Yancy and Eun Yang are excited to announce the Newsbabes Bash for Breast Cancer 2013! This year’s event will take place on Thursday, June 27th from 7:00-9:00pm at The Hamilton. 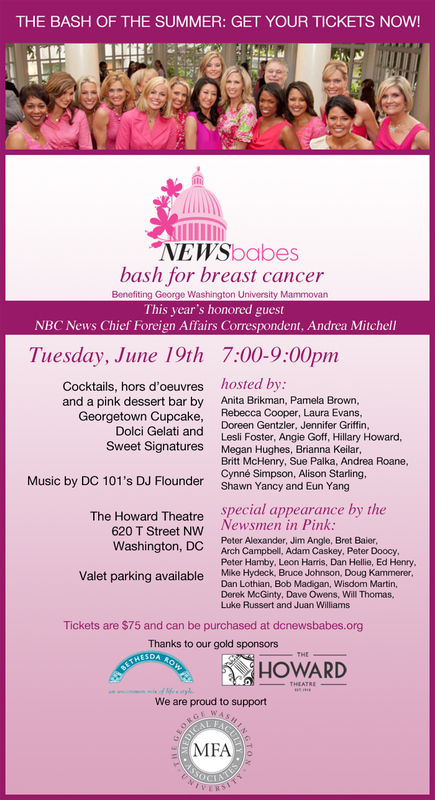 The Newsbabes Bash for Breast Cancer will benefit the Howard University Cancer Center and will feature a pink cocktail bar, Hors d’Oeuvres and sweet treats. The Hamilton is located at 600 14th Street NW. Tickets can be purchased here.